Amidst the uncertainty of healthcare policy and ever-increasing cost pressures, health system CEOs see the pace of innovation in their organizations speeding up, with improving the patient experience the area in greatest need of change. Many CEOs are investing in information technology (IT) to help make their organizations more consumer-centric, recognizing that consumer satisfaction and loyalty are critical to success in a value-based care environment. A major area of focus is leveraging IT to make access to care easier and more convenient for consumers. Streamlining the steps involved to get onto therapy – and interact with providers during the course of treatment – cannot come soon enough for the 80 million+ of people in the U.S. on multiple medications. The good news is that payers and providers are pouring money into technologies to improve the patient experience, and artificial intelligence is a catalyst in many innovations being rolled out. In addition to the practical applications of AI technology to improve medication safety described in part 1 of this series, machine-learning and natural language processing (NLP) are streamlining tasks that take place during the initial medication review process and ongoing therapy management. and the scheduling of follow-up visits to assess therapy progress. These tasks share three attributes that make them attractive candidates for the application of AI. They are repetitive in nature, require precise and medically appropriate actions based on a complex set of factors, and are labor-intensive. Let’s look at how machine learning and NLP are being applied to make these activities more reliable and efficient – and a better experience for consumers. “Usually back-office functions are highly inefficient and costly and measurable. 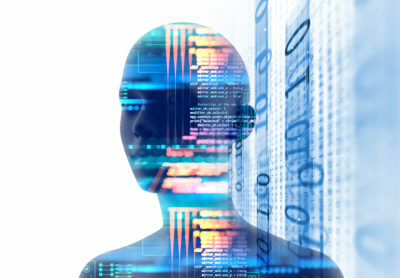 There’s a clear ROI [for AI]” said Dr. William Morris, associate CMIO at Cleveland Clinic in a recent in-depth article on the potential of AI in healthcare. The administrative burden of drug prior authorization (PA) to providers is well-documented as is the adverse impact on patients needing therapy; calls for change have reached a crescendo. The labor-intensive and error-prone processes of collecting the documentation required and subsequently adjudicating the PA request can be dramatically improved by using evidence-based algorithms and NLP. Despite the growing use of electronic prior authorization (ePA), the submission and review of clinical documentation for drugs requiring approval – especially medication therapies involving specialty drugs – is plagued with duplicate data entry, delays, and rework. The required documentation is often located in the clinical notes narrative of the electronic health record (EHR). The required clinical data can be extracted and transformed into structured data using NLP. This information – along with other necessary data – forms the clinical documentation to send at the same time as the ePA request is submitted. How does the ePA program know what data is required to send? This is where evidence-based algorithms and machine-learning come into play. With AI, the adjudication process is transformed. ePA becomes a decision support tool for the prescriber. The evidence-based algorithmic programs factor in the therapy policy and restrictions (including formulary), gather patient-specific data (e.g., the patient’s health status and medical history), and outcomes of patient populations with similar characteristics to present the prescriber with therapy recommendations. Selection of one of the recommendations triggers automatic approval of the PA request in real-time. This “next generation” ePA will be prevalent in the not-too-distant future. eviCore (a subsidiary of Express Scripts) has implemented an AI engine that uses NLP to extract data needed to adjudicate a PA. OptumLabs is working on increasing the level of auto-adjudication of PAs by using algorithms to predict which PAs should be approved. As a result, we’ll see more consistent and accurate PA adjudications, faster turnaround for patients to get onto therapy, and reduced administrative costs for both payers and providers. Filling the prescription and starting the therapy is just the beginning of a journey fraught with potential obstacles that could result in the patient not adhering to the prescribed regimen and ultimately needing expensive urgent or acute care. Fortunately, AI technology can be used to monitor patient adherence and notify clinicians when an intervention may be needed. The application of NLP and machine learning turns what would otherwise be a labor-intensive and cost-prohibitive activity into one where clinicians devote time only when needed. A recent survey of patients with chronic conditions revealed that when it comes to health care, they are most comfortable with the use of AI in the form of “virtual assistants” helping them to manage their prescriptions and schedule follow-up appointments. This willingness opens the door for the use of AI technology to assist patients in staying on their therapy and conveniently getting the help they need when confronted with challenges. Using predictive analytics, a Medicare Advantage plan identifies those members at risk of non-adherence who would likely be more receptive to digital interventions (e.g., personalized text messages about refills, remote patient monitoring) rather than telephone calls or letters. By focusing on patients at greatest risk, and communicating in the most effective way, adherence rates are higher. This strategy could be extended to predict specific difficulties a patient is likely to experience in adhering to a prescribed medication regimen and determine the most appropriate intervention (i.e. right level of intensity and approach for patient compliance, optimal effectiveness, and lowest cost). Drawing on the patient’s EHR (both structured and unstructured data) and patient interactions with a virtual assistant, multiple sets of factors can continuously be monitored by analytics that both predict risks of failure and prescribe actions. For example, factors such as the number of medications a patient must take, if different physicians are prescribing, whether a spouse or caretaker resides in the home, and the travel distance to the drug store can all be considered simultaneously when determining the need for and frequency of follow-up consultations. Natural language processing coupled with machine learning is enabling the 98point6 virtual assistant to chat with a patient to understand the challenge or problem, ask follow-up questions, and forward the report to a clinician who diagnoses the problem and prescribes treatment. Most interventions do not require an in-person patient visit and are prescribed relatively quickly. A virtual assistant could be used to contact the patient, recommend switching to 90 day mail refill, or suggest a follow-up appointment. The scheduling of follow-up appointments with a patient’s doctor or pharmacist to assess a medication therapy’s progress often doesn’t happen because of the time it takes and inconvenience. Clinics in Quebec, Canada are reducing patient wait times with a scheduling application that uses machine learning to dynamically predict expected wait times and send a text message to patients two hours before their scheduled appointments with updates on when they can be expected to be seen. This program uses machine learning to detect patterns in more than a million of past appointment wait times and based on hundreds of factors, including attributes of patients scheduled to be seen on a given day, the day of the week, and the doctor’s past performance on a given day. Providence St. Joseph Health is taking AI-assisted scheduling a step further with its No Show application}. No Show features a machine-learning model that predicts which patients are likely to be late for or cancel an appointment, and recommends an intervention based on the patient’s preferences and past responses. In just a few short years, the application of machine learning and NLP will have a profound and positive impact on the relationship between consumers and their health care providers. Is AI the most exciting technology advancement in healthcare since electronic data interchange three decades ago? Please e-mail me at michael.solomon@pocp.com with your observations and/or questions. Use the comments at this POCP blog post to share your thoughts on the potential of AI to improve the patient experience as medications are prescribed and used.